I love doing this show. Not only do I get to spend time every week discussing the weird and wonderful world of DC Comics, but I’ve gotten to know a number of our incredible fans. They send us pictures, ask amazing questions, and in some cases send us very thoughtful, very cool gifts. 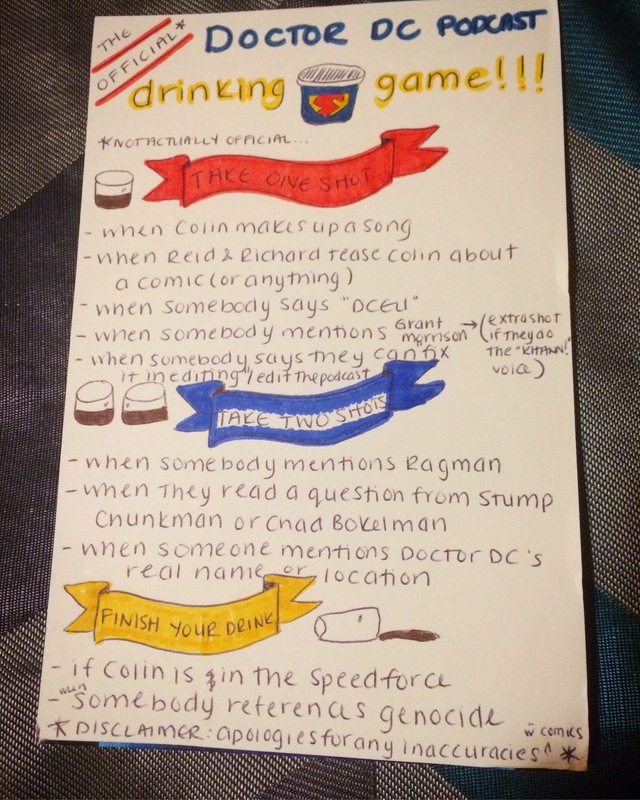 This week I received a great gift from Mallory Vanier, a long-time listener and frequent-time question-asker, who took the time to create The Official Doctor DC Podcast Drinking Game. 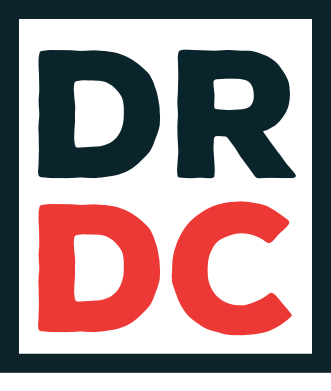 So if you’re looking to spice up the listening experience, or you want to empirically measure the frequency of some of these occurrences in our past episodes, you can now play The Official Doctor DC Podcast Drinking Game! Thanks again to Mallory Vanier, and to all of you amazing fans that make doing this podcast the highlight of my week.